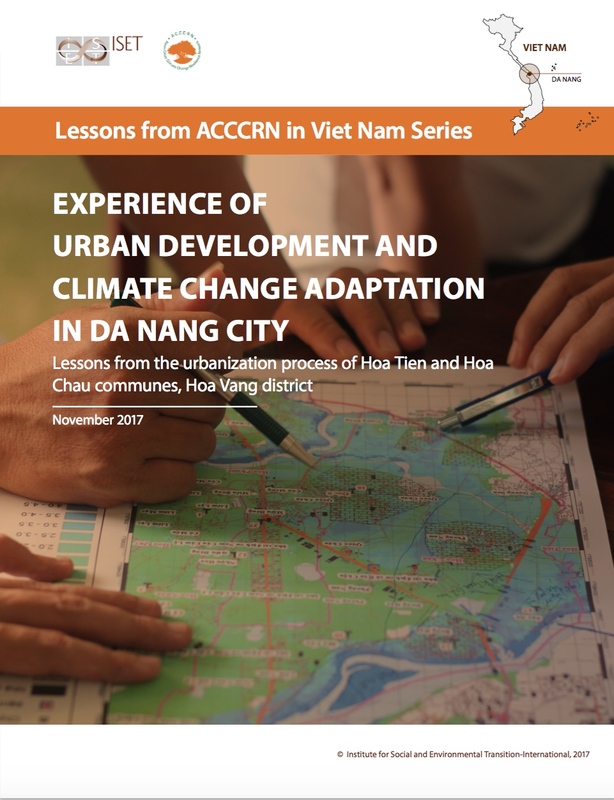 This report is the synthesis of relevant studies in Da Nang conducted by the Institute for Social and Environmental Transition (ISET) and the Climate Change Coordination Office of Da Nang (CCCO) in collaboration with relevant organizations and agencies in Da Nang. The research demonstrates that with the prospect of climate change, the intensity and frequency extreme rainfall events is likely to increase in Da Nang and surrounding areas. Meanwhile, urban development in floodway and low-lying areas has worsened flooding in areas already susceptible to flooding in Da Nang and Quang Nam. Flooding will affect Da Nang’s reputation and future land price, at the same time posing major costs to the local government for urban infrastructure damage restoration. Local businesses and people living in floodplains will also suffer increases in flood damages and recovery costs. Traditional practices in urban planning, infrastructure design and the use of filling standards that are based on historical flood experience and data will pose major challenges in the face of future hazards. Therefore, it is critical to restore natural ecosystems, and preserve and protect low-lying areas and buffer zones along rivers for emergency flood retention. These areas can have the flexibility of being used for recreational or agriculture purposes. It is unsustainable to promote urban development in floodway and low-lying areas in the context of climate change.